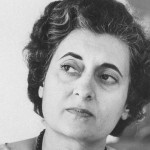 Indira Gandhi was a remarkable woman on two scores. 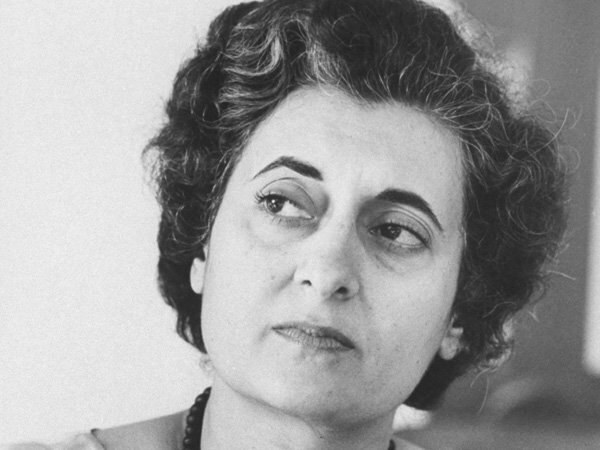 On a mundane level, she is India’s only female prime minister to date. On a stellar level, she has three Parivartana Yogas in her chart. How rare is that? Although 40% of the general population has one Parivartana Yoga, only 3% has two, and only 0.03% has three such yogas. That’s only three people in 10,000! Indira Gandhi was India’s Prime Minister during 1966-77 and 1980-84. Daughter of India’s first Prime Minister Jawaharlal Nehru, she received an excellent education, studying history at Oxford and speaking perfect French. During university, she was plagued with ill-health and constantly attended by doctors. Against her father’s wishes she married a man who turned out to be an alcoholic and womanizer. As Prime Minister, Gandhi was politically ruthless in centralizing her power. Although charged with electoral malpractice, jailed and banned from office, she staged a comeback. During India’s state of emergency, she allowed her son Sanjay to create what was effectively a police state. She was an advocate of equal pay for equal work. She presided over the nationalization of India’s banking, coal, steel, copper, refining, textile and insurance industries, largely to protect employment and the interests of organized labor. She also orchestrated mass redistribution of land to assist the lower classes. Gandhi unleashed a powerful military offensive in the 1970s, waging wars against Pakistan and East Pakistan, resulting in the partition of Bangladesh. She formed an alliance with Russia to the chagrin of America. She was assassinated by two Sikh bodyguards whose loyalties changed after she used the army to dislodge militants from a Sikh holy site. 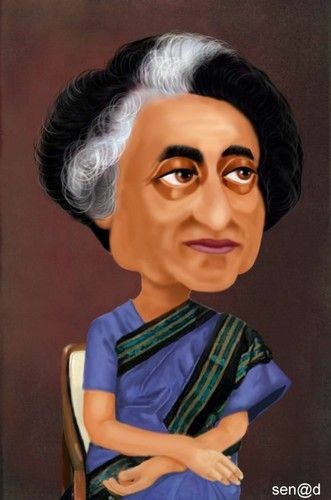 Indira Gandhi was born 19 November 1917 at 23h11 in Allahabad, Uttar Pradesh, India. Her chart contains several significant yogas. As a woman born at night with the Sun, Moon and ascendant all in even signs, her Maha Bhagya Yoga qualifies her as something of a female “lord of the earth”, ie, a political leader. A Budhaditya Yoga with Sun and Mercury in the 5th makes her astute and intellectually capable. The mutual aspect of Moon and Saturn, lords of 1st and 7th houses, forms Dharma Karma Adhipati Yoga, wielding power over the masses. The mutual aspect of Sun and Jupiter, lords of 2nd and 9th, forms Dhana Yoga. On the negative side, Papakartari Yoga is formed with Mars and Ketu flanking Saturn in the ascendant, a harbinger of her many troubles in life. In addition to the above, the presence of three Parivartana Yogas looms above all else, and is worthy of a discussion all on its own. In essence, parivartana connotes mobility and movement, but only in the sense that the planets are symbolically mobile. A Parivartana Yoga has nothing to do with travel per se, but by implication, a Parivartana Yoga is dynamic, because the two planets are linked in a manner that allows transposition by sign and, therefore, by house. * Positive houses include the kendras (1-4-7-10), the trikonas (5-9) and the so-called neutral houses (2-11). * Negative houses include the dusthanas (3-6-8-12). Of the latter, we can make further distinctions between “serious” dusthanas, ie, the trikasthanas (6-8-12), and the “mild” dusthana of the 3rd house. Trik houses are generally problematic, and considered undesirable locations for any planet. Somewhat better is the 3rd house, an upachaya bhava representing difficulties at the outset, but improvement over time. Maha means “dignified, exalted, glorious, majestic, nobly born.” A Maha Parivartana Yoga therefore implies a touch of divine fortune. The yoga involves the mutual exchange of any two positive house lords, ie, the lords of houses 1-2-4-5-7-9-10-11. There are two Maha Parivartana Yogas in Gandhi’s chart. Saturn in 1st house Cancer exchanges with the Moon in 7th house Capricorn to form a Maha Parivartana Yoga. Saturn is in ordinary condition, although the Moon could be considered weak since it lies within six tithis (roughly 72 degrees) of the Sun. The Moon/Saturn pair also forms a Dharma Karma Adhipati Yoga, being lords of 1/7 in mutual aspect. Post-exchange, Saturn gains dig bala. Pre- or post-exchange, the planet in the 7th receives an aspect from Jupiter. 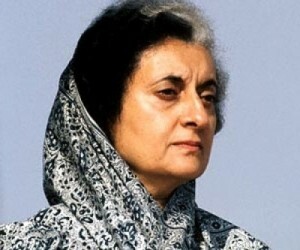 First house themes emerged via her considerable charisma by which she was able, despite being a woman, to attain unprecedented power – as a cabinet minister, Congress Party leader and the longest-serving Prime Minister of India. But the negative side of 1st house meanings also manifested in her many personal health issues, especially in her school years. Seventh house themes included a very mixed review of “relationship” issues: a difficult marriage, one-sided political partnerships, and a somewhat volatile foreign relations policy that saw India siding with Russia, irking America, and precipitating wars with both Pakistan and China. Mars in 2nd house Leo exchanges with Sun in 5th house Scorpio to form a second Maha Parivartana Yoga. Both planets are ordinary, although the Sun forms a Dhana Yoga with Jupiter, and a Budhaditya Yoga with Mercury. Post-exchange, Mars in the 5th would, as 10th lord, form a Dharma Karma Adhipati Yoga via its mutual aspect with Jupiter the lord of the 9th. 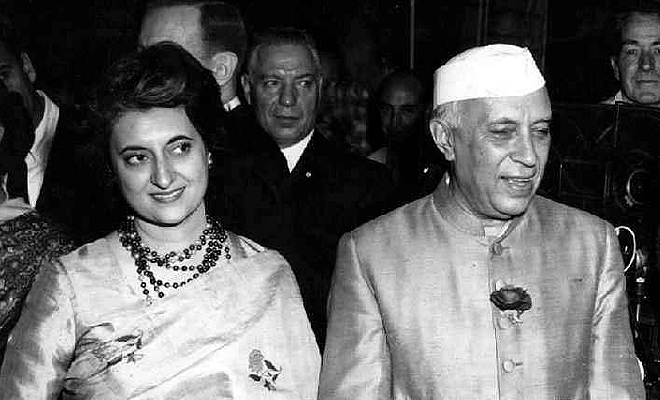 Second house themes emerged via her “Nehru Dynasty” family, wherein both her father Jawaharlal Nehru and her son Rajiv were prime ministers. Economics issues plagued her stewardship of India, but as PM she doggedly presided over three 5-year plans, two of which met their targets. Fifth house themes included challenging and successful ministerial roles, but also difficulty in studies, where at university she was a somewhat mediocre student. Her sorrows with respect to her children are well known: her younger son and heir-apparent Sanjay died in a flying accident; her elder son Rajiv, urged into politics to become PM, was later assassinated. Note: there is no Khala Parivartana Yoga in Gandhi’s chart, but for the sake of discussion, it is briefly defined and described here. Khala means “abusive, contentious, mischievous, quarrelsome, villainous, wicked.” A Khala Parivartana Yoga therefore implies something of a troublemaker. The yoga involves the mutual exchange of the 3rd house lord with any one of the positive house lords, ie, houses 1-2-4-5-7-9-10-11. Dainya means “affliction, depression, misery, wretchedness.” A Dainya Parivartana Yoga thus implies difficulties and misfortunes. The yoga involves the mutual exchange of any trik lords, ie, the lords of houses 6-8-12, among themselves or with any lord of the remaining houses, ie, 1-2-3-4-5-7-9-10-11. Venus in 6th house Sagittarius exchanges with Jupiter in 11th house Taurus to form Dainya Parivartana Yoga. Jupiter is retrograde, therefore strong, and involved in a Dhana Yoga via its mutual aspect with the Sun. Post-exchange, neither Jupiter nor Venus forms any constructive yoga. Sixth house themes are evidenced in Gandhi’s strong-arm tactics, rule by decree, and her brutal exercise of police and military might during India’s state of emergency 1975-1977. 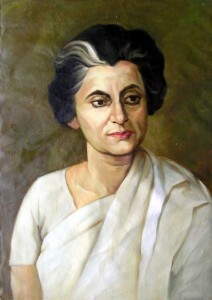 This theme can also be seen in the “Indira Doctrine” that sought to unite various bordering states under India’s rule. Meanwhile, however, her sympathy for organized labor and the rural masses also worked its way through legislation in the form of land distribution, equal pay for equal work, and the nationalization of industry. Eleventh house issues were exemplified in her extensive social reforms, and political astuteness both home and abroad. But the blending of 6/11 themes also played out in her fluctuating political fortunes, wherein friends and allies of today became opponents of tomorrow, and vice versa, and back and forth between jail and positions of power. The phenomenon was significant enough in her case to say that she was literally surrounded by “frenemies” of whose allegiances she could never be quite assured. This morphing of friends into enemies, and the reversal of fortunes that could accompany it, was perhaps epitomized by her death at the hands of her own Sikh bodyguards. Alan Annand is a Canadian astrologer, a graduate of the American College of Vedic Astrology and the British Faculty of Astrological Studies. 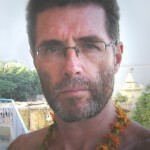 He’s written two books on Vedic astrology: Stellar Astrology, a collection of astrological techniques, in-depth celebrity profiles, and analysis of mundane events, and Parivartana Yoga, a reference text for one of the most common yet powerful planetary combinations in Jyotish.